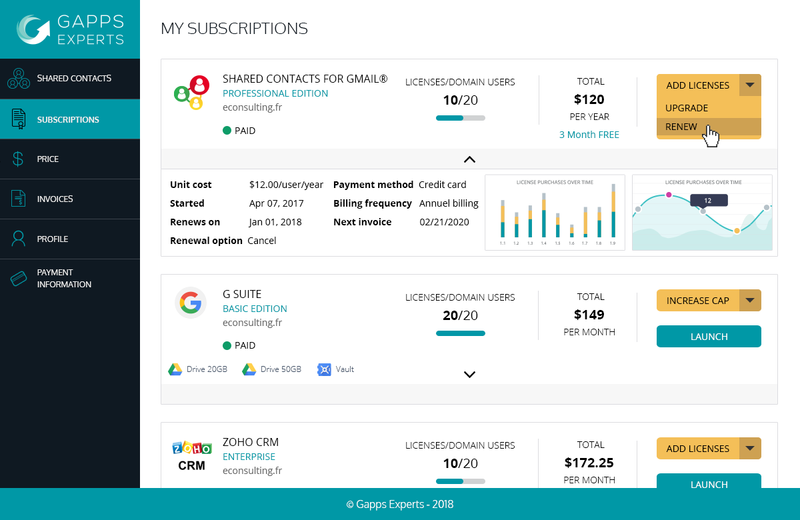 Bringing smarter cloud Solutions | Gapps Experts! An all-inclusive solution to order, track, optimize, and get a better insight of your cloud subscriptions. What can SaaS Manager do for you? Find all of your SaaS subscriptions in a neat interface instead of having to look for them in several websites & platforms. Get complete clarity and continuously monitor your spendings for all your subscription contracts on a single dynamic dashboard. 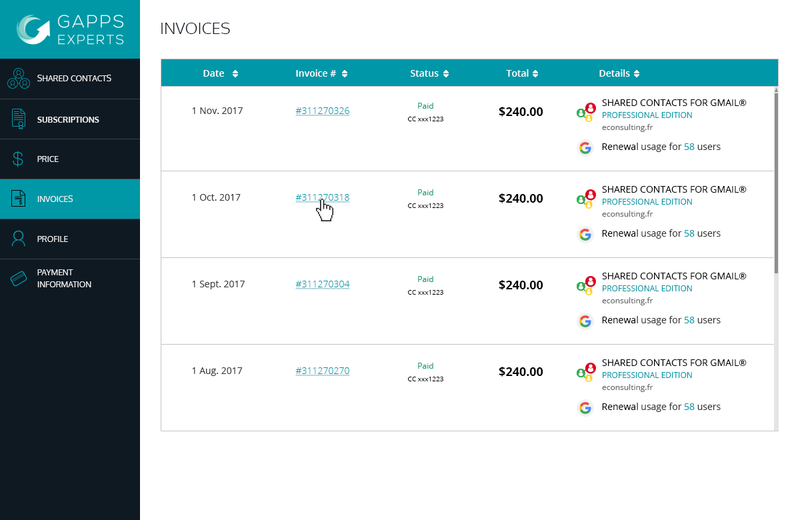 Have your monthly invoices organized in a single view. Know exactly what you’re paying for. 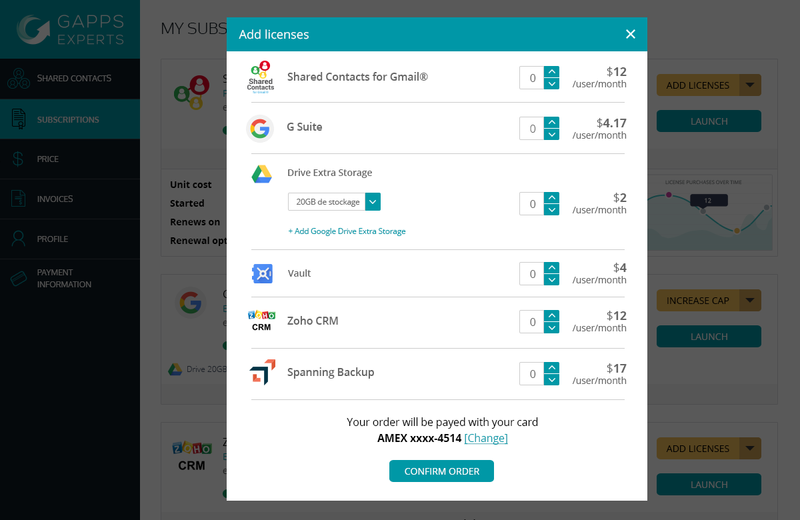 Upgrade, renew or cancel subscriptions in a unique control panel. 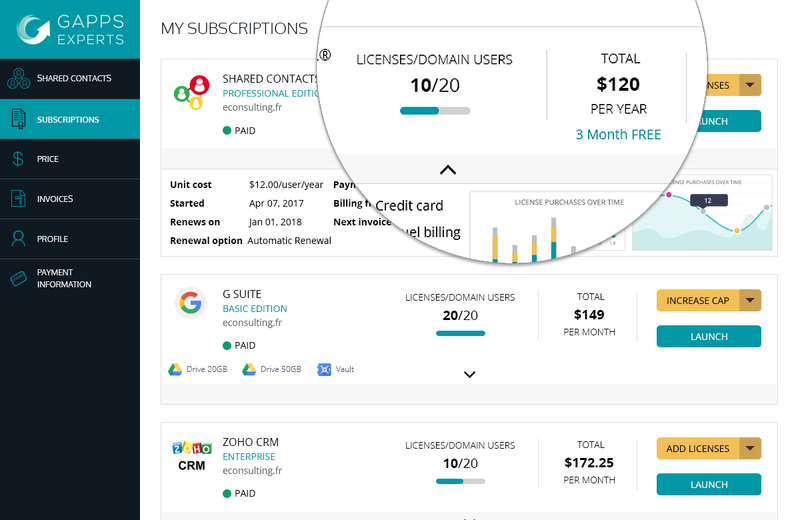 Automatically increase your subscription with a single click instead of logging to each service when you need a new license. 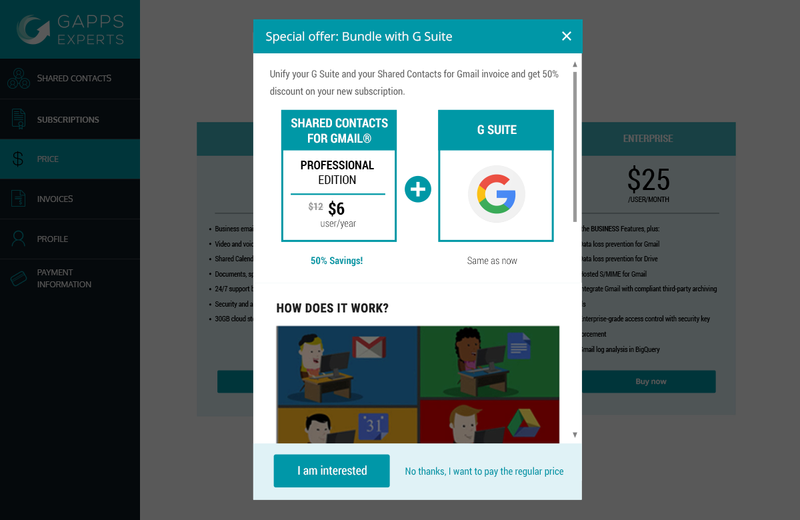 Track the actual usage of your subscriptions and identify saving opportunities by optimizing your apps. Find amazing deals on new apps & ones that you already use!